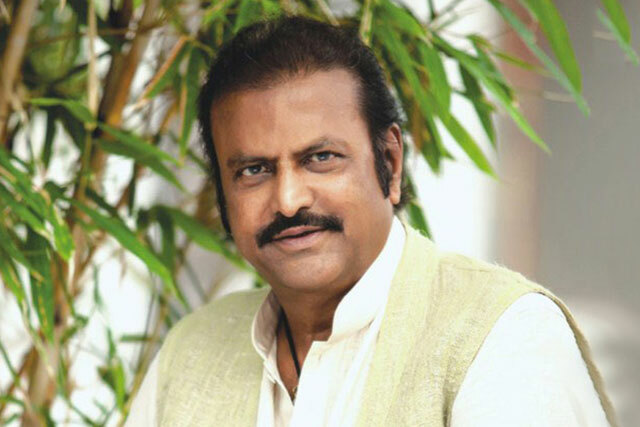 Mohan Babu kept criticizing TDP Government over the non-payment of Fee Reimbursement Dues to the tune of Rs 16 crore to Sri Vidyaniketan Educational Institutions for the academic year 2018-19. Much to the shock of the Ruling TDP, The Veteran Actor decided to stage dharna in Tirupati on Friday in protest against the injustice. Students will be taking part in the protest along with the Founder of the Educational Institution. Collection King alleged TDP Government has miserably failed in clearing the Fee Reimbursement dues completely for the academic years 2014-15, 2015-16 and 2016-17. 'This Government is treating us like beggars. Sri Vidyaniketan is yet to receive pending bills worth Rs 16 crore. Wrote many letters and made appeals through media but there is no response from the Government. We haven't faced any such hurdles during YSR Regime,' he said. The protest planned by Mohan Babu would embarrass the TDP Government and might even hurt the poll prospects of the Ruling Party. That's something Chandrababu Naidu doesn't want to happen ahead of the 2019 Elections. TDP Racing Ahead, YCP & JSP Lagging Behind!